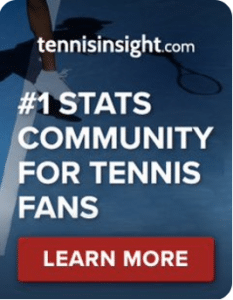 WTA Monterrey: Mladenovic v Haddad Maia | Tradeshark Betfair Tennis Trading Blog!Tradeshark Betfair Tennis Trading Blog! Mladenovic won their only previous meeting. That was in February last year on a hard court in Acapulco. She won in 3 close sets. Haddad Maia has better hard court results in the last 12 months and also in 2019. She has come through the qualifying rounds without losing a set. She was strong prematch favourite in each round. She reached the quarter finals as a qualifier in Acapulco last month. She beat Sloane Stephens that week. Mladenovic has won 3 of her 11 matches in 2019. She found some form almost from nowhere in Dubai and beat Naomi Osaka in straight sets. In the following match she was following her game plan well against Suarez Navarro and was 5-1 up in the first set before Suarez Navarro started to fight back and Mladenovic fell apart to lose the set 7-5. This entry was posted in Daily match picks and tagged betfair tennis trading, low risk tennis trading, mladenovic v haddad maia, tennis tips, wta monterrey by .Bookmark the permalink.